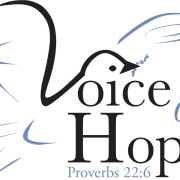 Voice of Hope Ministries exists to extend the love of Jesus Christ by nurturing and training children through Biblical teaching, Christian character models, life skills coaching and educational support. Voice of Hope is a Christian non-profit that serves the Dallas community with the goal of "changing lives, one child at a time". Summer Day Camp offers a safe and Christ centered program of learning and fun every June - July. Family and Community Services offers fresh fruits and vegetables, canned goods, a weekly Women's Bible study and other support services. Would you recommend Voice of Hope Ministries?